Recently J.Estina announced the grand opening of their first boutique in the United States, located at The Shops in The Plaza. 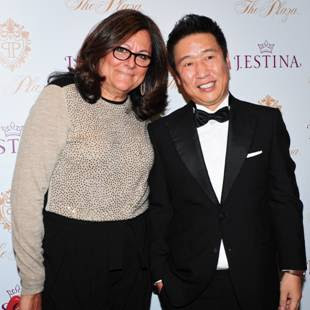 OJ&B was invited to stop by the grand opening festivities that brought the likes of Fern Mallis (pictured above with Mr. Kim, President of J.Estina) and Patricia Field! J.Estina's in-store celebration was hosted by stylist Mary Alice Stephenson while Downtown it-girl, May Kwok DJ'd the event. It was great to see Fern as she always brings great energy to any event. She is so nice and approachable! I also loved seeing me some Patricia Field! She has a style that is truly all her own. I don't think anyone else could have come to The Plaza in a fur with lime green shoes and a smiley face bandanna and look like a fashion rock star. Pat is such a legend and her eccentric style matches her perfectly. She is one of the nicest people that I have met in fashion while in NYC. Above: J. Estina's host for the night stylist, Mary Alice Stephenson﻿ standing in J.Estina's brand new store at The Shops at The Plaza. 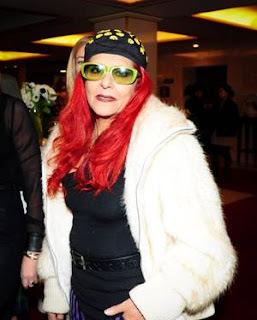 Below: OJ&B fave, Patricia Field stops by to show love to the new J. Estina store. Other people who showed up to support J.Estina included Simon Collins, Dean of Fashion Parsons The New School for Design, Survivor winner Ethan Zohn, MTV host Lenay Dunn and models Julie Henderson and Allie Rizzo. The event also brought out many of New York’s social elite including Annie Churchill Albert, Anna Sheffield and friend of OJ&B, Richie Rich. Above: Jonathan Valdez of OJ&B chats with designer/NYC nightlife icon/friend of OJ&B, Richie Rich at the J.Estina Grand Opening at The Plaza. Below: Richie Rich and I were obsessed with the sequined backpack that had double sided black and gold sequins! 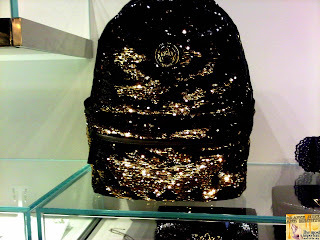 J.Estina represents royalty, elegance and good taste that never is out of style. Its name derived from the famous Italian Princess and then Bulgarian Queen, Jovanna Estina. The symbolic emblem of the Tiara is inspired by Jovanna’s elegance and luxurious lifestyle which is represented in the jewelry. Congratulation to J.Estina on opening up their first U. S. boutique at The Shops at The Plaza! 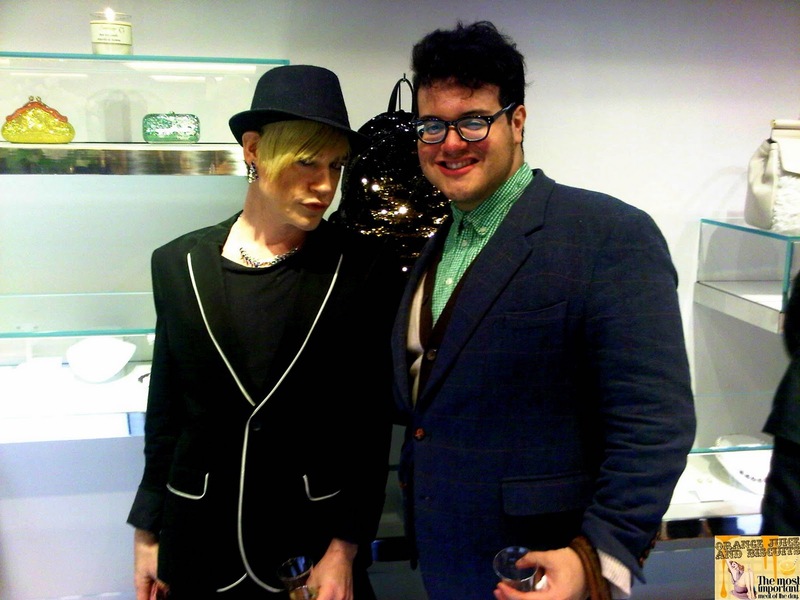 Above: Survivor Winner, Ehan Zhon poses with MTV Host, Lenay Dunn at the J.Estina Grand Opening party at The Shops at The Plaza.